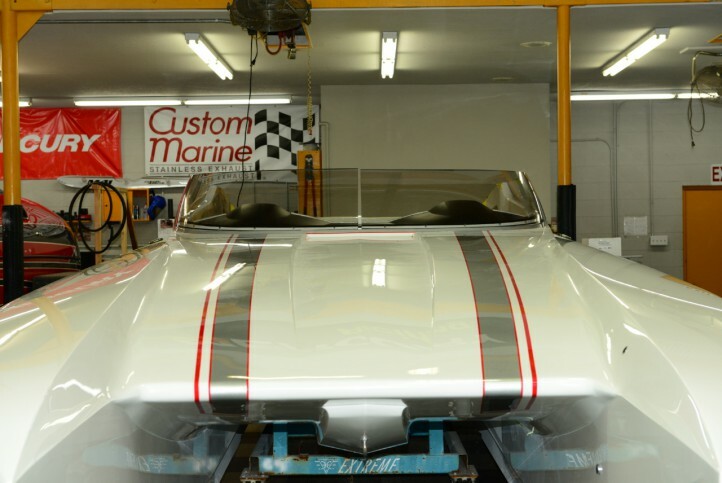 While it’s a Holiday time for most of us, the crew at Dave’s Custom Boats are busy building new Powerboat presents for some very good customers. 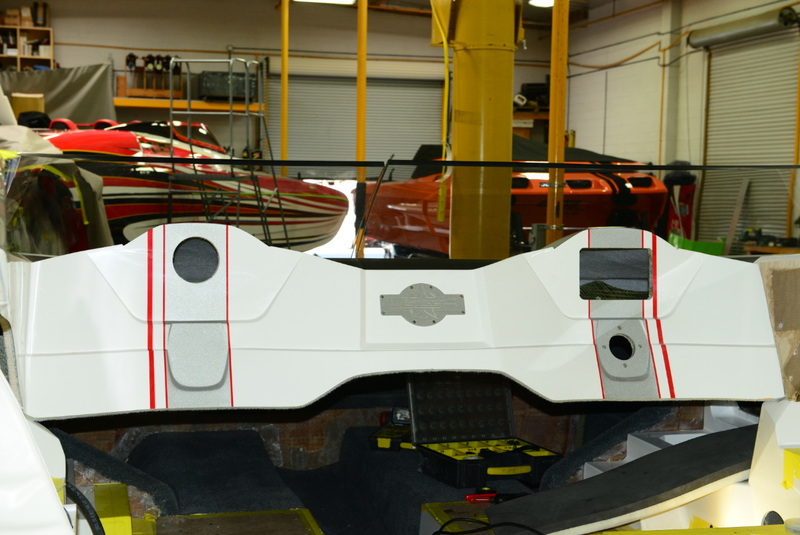 DCB has 9 new boats under construction right now, with more in the works. Three of them are M35’s with Mercury Racing 1350’s and three more with 1100’s are currently being built. A recent water test in this M35, that will be delivered to Toronto, Canada, with 1100’s ran 158.8 MPH in its first test so we know it has at least 160 in it. This is a real impressive number and compared to similar sized boats I have ran with Mercury Racing 1100’s would make the M35 Fastest in class with this horsepower. DCB’s Tony Chiaramonte told us things at the Southern California Shop are “Slammed Busy, we are running hard and very blessed right now. Lamination, sanding, polishing, and rigging is really busy and production is solid. We are selling and building well into 2015 model year. 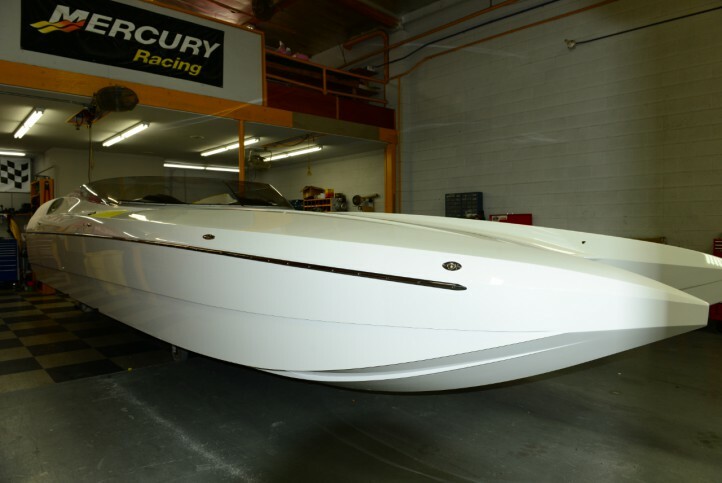 The build that really caught our eye is the M29 with Mercury Racing 565’s on XR’s. This super economical ride is projected to run between 105 and 115 MPH. 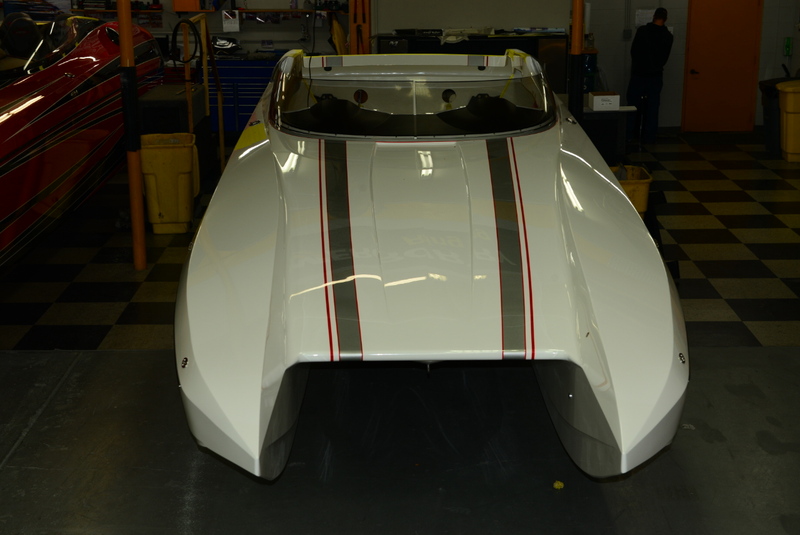 The first boat set up is a spec boat and Tony told us they have quite a few leads on it. Additionally, three more M 29’s are right behind the first one, another twin 565, single 1350 with the M8 drive and the third boat will be another 565 boat. 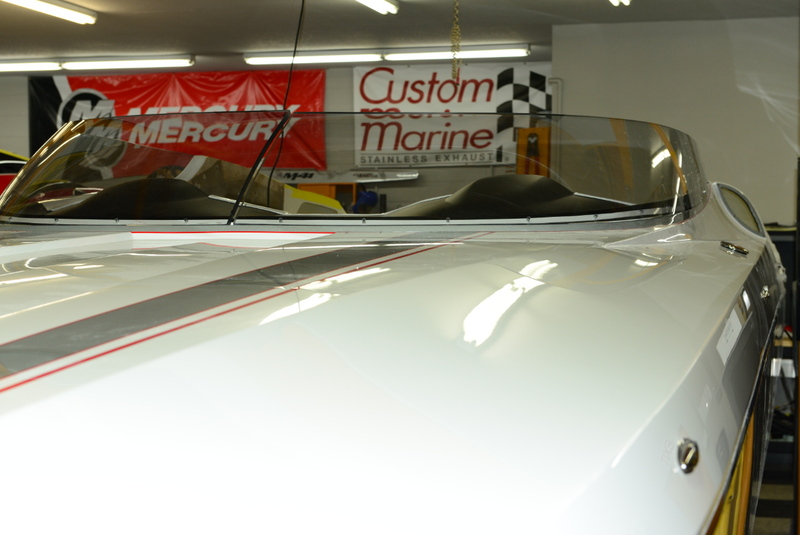 Dave’s Custom Boats are built with the highest quality and offer customers a great variety of options and configurations.